Tina Dunkley built the collection of Clark Atlanta University Galleries from 291 piece to more than 1,200. Photo courtesy Clark Atlanta University. Nothing about Tina Dunkley’s bearing suggests her status as a recent retiree. 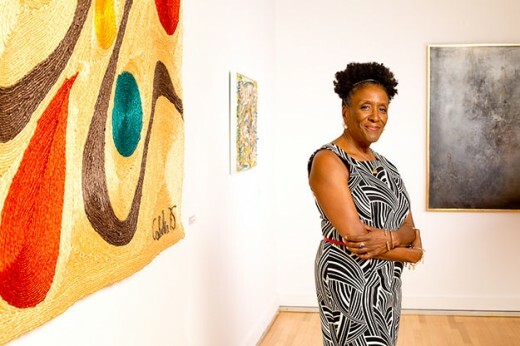 To the contrary, when the curator emeritus of Clark Atlanta University Art Galleries enters the exhibition space in Trevor Arnett Hall, the force field surrounding her crackles with energy — invigorating everything and everyone in her path; generating buzz. She greets a student/receptionist on duty with “Gimme a Hug!” And her enthusiasm only escalates as she talks about the importance of visual literacy and the cultural language of art while leading a tour through the gallery’s permanent collection.